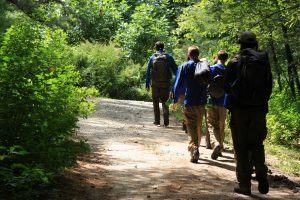 Parents considering summer camps for troubled teens may be interested in Trails Carolina as an alternative for their child. Trails Carolina is widely considered one of the most effective solutions to behavioral and emotional challenges such as anxiety, depression, defiance, school refusal, and attachment issues. Sending your child away to receive therapeutic help can be one the toughest decisions a parent can make for their child. At Trails, we understand how difficult this decision can be. Our family-focused programming ensures that you will always be in the loop. We believe that involving the family in every step of the therapeutic process ensures lasting success. Why Choose Trails Carolina over summer camps for troubled teens? The summer time can be an ideal time to get your child the help they need. Out of school and left with nothing to do over the summer, this is often the time that teens act out the most. Sending your child away to receive help for their struggles might be one of the most difficult, important decisions you’ll ever make for your child. 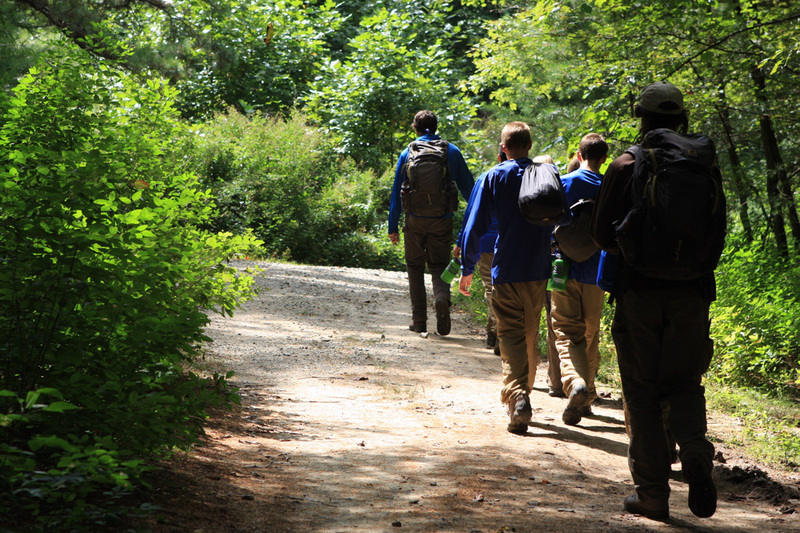 As one of the leading wilderness therapy programs for teens, Trails Carolina helps teens achieve lasting success throughout the year, including the summer months. Removal from everyday environment: Spending their days out in nature working with therapeutic and recreational staff, students at Trails are completely removed from their everyday environment. They don’t have access to their cell phones or social media. This allows them to completely focus on their own personal growth and healing. Gaining self confidence and communication skills: Throughout their time at Trails, students take part in team building activities and group therapy sessions which help them better understand the ways in which their actions affect others. Repairing family relationships: Our family programming includes weekly family therapy sessions intended to repair and rebuild your relationship with your child. Family programming also includes sibling work. Call us today to see how 60 days can change your child’s life. Who Does Trails Carolina Help? Other summer camps for troubled teens help campers gain new skills and make positive changes while they are at the program. However, as soon as they go home those new skills and changes go out the window. At Trails, students are constantly practicing transitioning the skills and behaviors they have learned throughout the program. During their time at our program, students cycle through a variety of environments: from a wilderness environment to base camp to equine therapy to a traditional classroom. Throughout those settings, students transfer the skills they learn from one environment to the next. This ensures that those changes will smoothly transfer into the real world once your child graduates from our program. 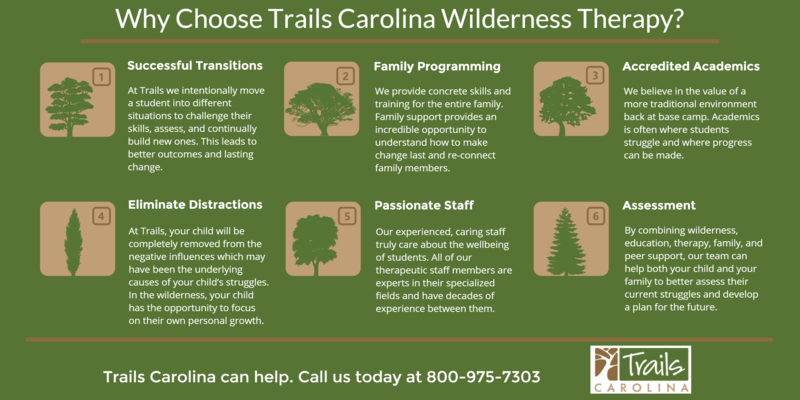 In as little as 60 days, your child’s life can be transformed by Trails Carolina. Our focus on truly getting to the core of what your child is struggling with and guiding them through a transformative process is unparalleled by any program similar to Trails. During your child’s time at Trails, they will go on a personal journey that can help them develop strong personal values and a sense of responsibility and accountability that they will carry for the rest of their lives.